What are the two greatest levers to push for a great homeownership outcome? Saving money and boosting your home value. Get both of these two time-tested resources, one for saving money and one for getting a great return. For a limited time only. 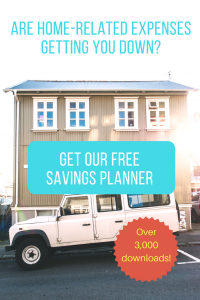 Get instant control over your costs with this amazing and popular planner. What is every homeowner’s nightmare? Out of control costs. Say goodbye to budget overruns. Say hello to money for improvements and predictable expenses. You’ll also get our “One up, one down” monthly dispatch on one way to boost home value & one way to cut costs. 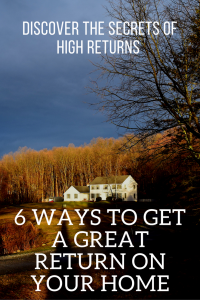 Discover 6 ways to get a great return on your home. Find out how what to avoid, and how to tell if you are on track. This 11-page guide contains the latest research and action plan that will make you in control of one of your largest investments. You’ll discover the secrets of what to avoid and how to orient yourself towards success in the short and long term.